Troy grew up in the foothills of the Pacific Northwest cementing his desire for mountain travel. Years of skiing lead Troy to international ski racing on the IFSA World Tour. When He wasn’t competing, Troy spent much of his time in the backcountry chasing untracked powder. 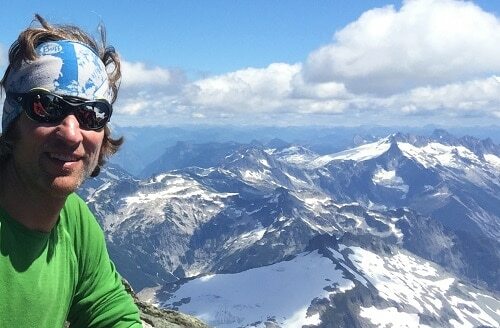 Working as a climbing instructor, and leading ski tours has rounded out his mountain knowledge. Troy has skied and climbed in the Columbia Mountains, North American Rockies, B.C Coast Range, Sierra Nevada, Wasatch, and the Stuart Range. Troy lives in Leavenworth, Washington with his wife and daughter. He is pursuing AMGA certification. Some of his other interests include rock climbing, waterfall ice-climbing, mountain biking, swimming, kayaking, gardening, and carpentry.